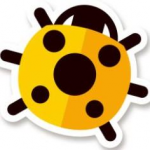 Minibugs - A happy and caring place for mini people to grow and thrive. Minibugs Nurseries (St Austell) is based in a purpose-built brand new building. The nursery will provide modern facilities and a stimulating and nurturing early years environment for children between the ages of three months and five years. Places to learn, play and grow. Nursery rooms are full of natural play resources to help your child's imagination thrive. Parent partnerships are so important to Minibugs. The nursery team will keep you updated on daily activities and observations, and work with you to monitor and evidence your child’s individual learning journey. Minibugs only work with staff who believe in themselves and the core philosophy of the nursery. Each child has a key member of staff responsible for their care routines. Activities are planned to extend each child’s skills and knowledge, focussing on their interests. The highly trained Minibugs nursery team are all advanced paediatric first aid trained and receive regular safeguarding and early years child development training. Below are the latest reviews for Minibugs. Please note that reviews represent the subjective opinions of other Childcare.co.uk users and not of Childcare.co.uk. Parents must carry out their own checks and references on childcare providers to ensure that they are completely happy before enaging in the use of their services. My little boy came to your nursery from a different setting. All the staff where and still are happy to help with any difficulties you may be having. They were ever so supportive when it came to toilet training and even made him his own Alien stickers to encourage him. He is such a busy boy and we feel that they always keep him busy. Now he is older he can communicate what he has done throughout the day, and how each morning he can’t wait to go. The staff are always warm and welcoming, it’s great that daily we get updates. I can easily see what he has eaten and done.As I don’t get to pick him up, for us it’s a lovely in the evening we can look and talk about what he has done. Thank you so much for this lovely review! We really do appreciate all parent and carer feedback as we are continually reviewing our processes and looking at ways to improve our nursery care. It's lovely to hear that we have been able to support both you and your child so well. We aim to ensure our parents feel well communicated with so it's great to hear we've got this right for you. Thanks again. My Daughter has been attending minibugs since she was 2 she loves going. All the staff are brilliant they are all friendly easy to approach and helpful. The nursery is clean has a warm friendly atmosphere the food the children eat is a great variety of homemade food all the children always look happy there. Highly recommended. Thank you so much for your lovely review of Minibugs. All parent feedback is really important to us - and there is no higher recommendation than that of a happy child and parent! Our daughter moved to minibugs from another nursery when she turned 2. She has made such progress and really seems to benefit from being in a room with older children. She settled quickly and chats happily every evening about all the fun she has had. She has so many new experiences at nursery and even eats a much broader range of food than she would ever try at home. I cannot fault anything in the care she receives from the exceptionally professional yet warm staff team. The personal attention she gets in such a busy setting is wonderful and I never worry about her during the day. Communication is always thorough and staff go the extra mile to send pictures and updates if for any reason she has had a wobbly drop off. Very reassuring. Very pleased to have found such a great fit for our family. Thank you so much for you lovely review of Minibugs St Austell. Parent and carer feedback is really important to us and helps us to continually improve our nursery care. It's so nice to hear how your daughter has settled in and is making good progress with her learning and development. It's one of our aims to ensure our parents feel well communicated with and updated on how their child is progressing so I'm pleased that works well for you and your family. Thanks again! I hated the idea of my son going to nursery but had to do send him as I had to go back to work. Minibugs have been brilliant with him and I am now so glad that he goes there. He is learning so much and clearly enjoying himself and all the staff are warm and caring and lovely.